You'll love dressing your dog for photo opportunities and parties in this cute Casual Canine® Lil' Stinker Skunk Costume. Your dog will be the life of the party! 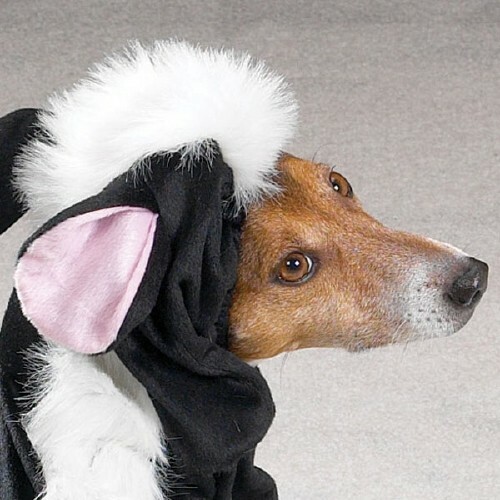 this black and white skunk costume lets dogs dress up like the skunks they love to hunt.